Home > News > Is Retail Marketing Different from General Marketing? Is Retail Marketing Different from General Marketing? This is a very good question yet quite difficult to answer in a concise way. To begin with, it’s no secret that retail marketing uses some of the common principles of general marketing. However, many professionals agree that, even though general marketing is broader in scope than retail marketing, in-store marketing can be fine-tuned to go above and beyond traditional marketing concepts. That can—and should—be done particularly by “[bridging] the gap between in-store and online experiences”, according to a recent article published by BusinessWire. In addition to the 7 Ps of marketing mix, the retail trade relies heavily on two critical components: in-store product advertising and branding. Considering that the success of a retail marketing strategy is partly defined by the success of a business in influencing purchase decisions in the store, POS display solutions deliver some effective tools that can be used to promote certain products as well as create brand awareness. Although there is a wide spectrum of opinions, Houston Chronicle argues, among other specialised publications, that in-store displays can “draw attention to (…) and influence [customers] to choose a specific brand”—and, consequently, purchase more products from that particular company. Considering that a brand strategy mainly focuses on the core values of an organisation, it can help communicate all of the characteristics that define exactly what a certain brand is and isn’t. Therefore, a brand strategy indirectly allows a retailer or brand to say: “This is what I am. These are the things I value the most. If you like me, you can buy my products and recommend me to your friends”. Whilst a brand-based strategy may not encourage shoppers to purchase a specific product, it does deliver a very effective framework for various marketing and sales activities. 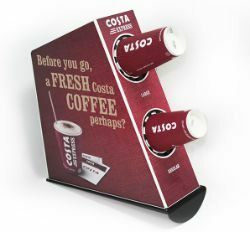 Since POS displays can favourably influence purchase decisions, it’s advisable that retailers and brands use a variety of display solutions to complement their traditional marketing strategies rather than replace them. Nowadays, many marketing experts seem to embrace this idea, attesting to the importance of POS displays in the retail environment. That’s mostly because building brand awareness is somehow more important than promoting and selling a few products. Compared to so-called “per-product” marketing, brand awareness can increase overall sales volumes substantially, which will lead to higher ROI levels and profit margins in a relatively short period of time. By intertwining in-store product advertising and brand awareness strategy with general marketing concepts, any retailer or brand will be able to go beyond those few marketing components that represent the foundation of retail marketing and achieve a complete and successful brand activation, which will make the brand well known and its products loved by consumers. Building a brand isn’t easy. But it’s a vital piece of the marketing puzzle for any company, be it small or large. 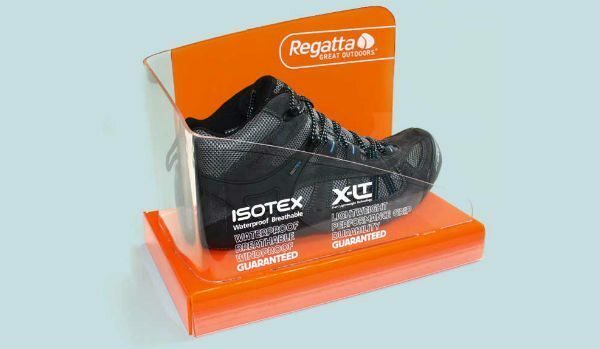 To find out how you can use different POS display solutions in order to shape concepts into a coherent marketing strategy that promotes your products and communicates your brand story with clarity and style, feel free to visit our website or contact us via our online form.